LT-100 LoRa GPS Tracker utilizes the very low power consumption and long range nature of LoRa (Long Range) wireless technology. Traditional GSM-based GPS tracker counts on licensed band, such as 3G/4G, to transmit GPS location data. GSM drains high power from device and causes short battery life cycle. In addition, users have to install SIM in tracker and pay the monthly fee. LoRa technology eliminates the barrier of GSM. LT-100 LoRa GPS Tracker transmits GPS location data through LoRaWAN network or runs on private RF network. For standard LoRaWAN environment, LT-100 has gone through intensive inter-operability test with various LoRa Gateways and Network Servers. For private RF network, LT-100 can be programmed through AT-command to gain the benefits of LoRa technology. LoRa utilizes unlicensed frequency and virtually free of communication charge. A single LoRa base station can trace LT-100 up to 10km in distance and its battery lasts 5 times longer than GSM trackers. The applications of LT-100 can be from P2P pet tracking, group security monitoring of school students/ elders/ workers/ mountain climbers, up to city-bikes tracking in metro area. For personal use, LT-100 has built-in Help button and alerts for two-way communications between users and remote sites. 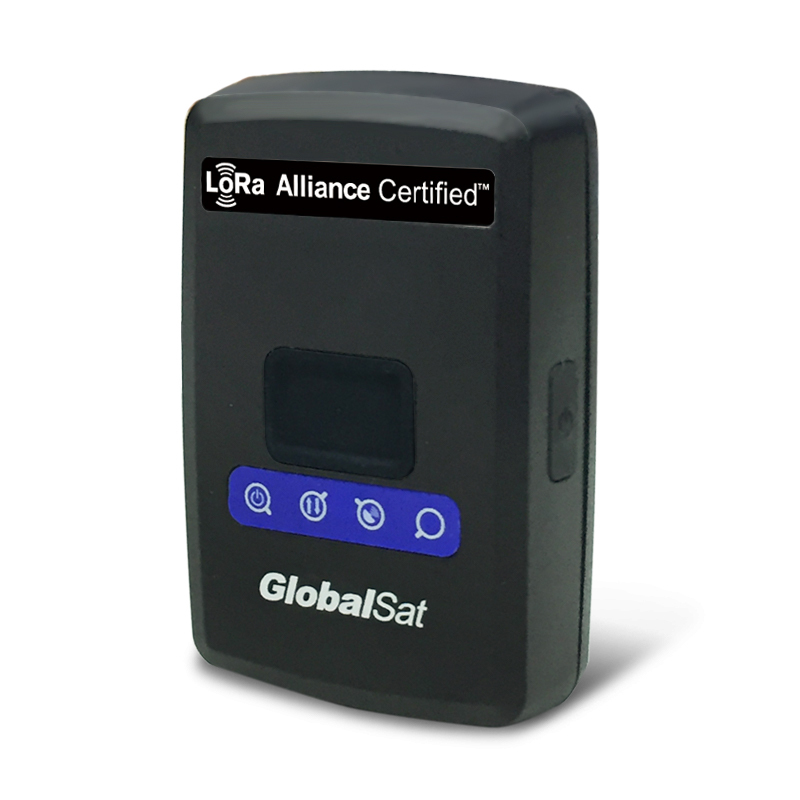 LT-100 LoRa by GlobalSat is being currently integrated with Wialon and will be available for usage with our system very soon.